WOW! What an amazing deal in HOT Sylvan Hills in SW ATL! Perfect home for investors or first time home owners who want to make this the home of their dreams! Enjoy a large spacious lot with a private wooded area on one side. 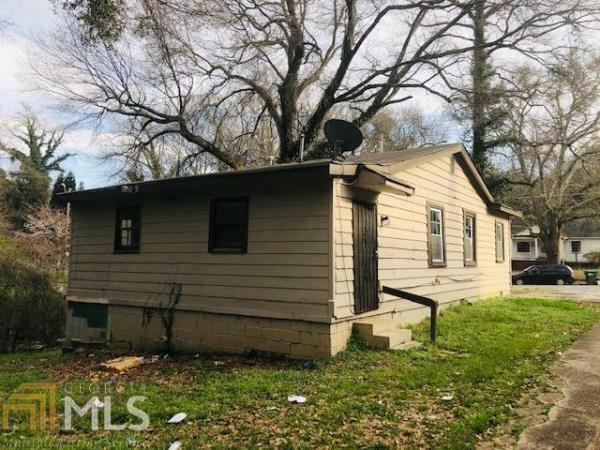 Located close to Ft McPhearson, Tyler Perry Studios, Atlanta AU Center, walk to Lakewood Marta Station & easy access to all major interstates. Recently renovated similar size homes in the neighborhood are selling for $300k+. This is the perfect opportunity to buy with instant equity! Home sold As-Is.